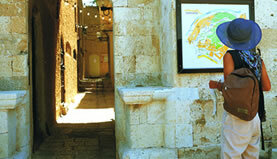 Israel, regarded by Jews, Christians and Muslims as the biblical Holy Land. 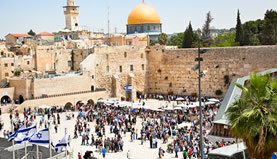 Its most sacred sites are in Jerusalem. Within its Old City, the Temple Mount complex includes the Dome of the Rock shrine, the historic Western Wall, Al-Aqsa Mosque and the Church of the Holy Sepulchre. 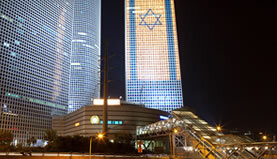 Israel's financial hub, Tel Aviv, is known for its beaches and Bauhaus architecture. The young country is a small yet diverse Middle Eastern country with a long coastline and a small window on the Red Sea at the Gulf of Eilat. You’ll live and breath the Land of your Roots, the Land of your Fathers, the Land where you Belong and Where it all Began, the Land of Israel. 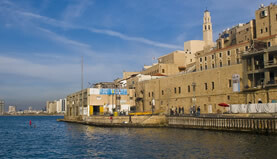 Learn and see amazing Israel sites and destinations, learn about Jerusalem, Tel Aviv, Eilat, Haifa, Tiberias and other great destinations of Israel. 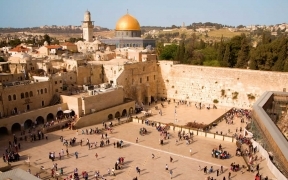 Experience the Land of your Jewish Roots and learn about the Tomb of King David, Mount Zion, the Jewish Quarter, and the most sacred Jewish site in the world the Western Wall, read about the Davidson center, the Temple Mount, Joseph Caro & Ha’Ari synagogues and other important Jewish sites in Israel. Let us help you plan your trip to Israel the Land of your Roots, and answer the most frequent questions when traveling to Israel. What to pack, what attire is best, what is the temperature or best time to travel to Israel, how about money exchange, shekel’s verses dollar, find brochures and travel maps of Israel.